Its fun strolling though Ellicott City. You never know what you will come across. Wandering up the street I saw this old military truck and had to look it up when I got home. At first it almost seemed like an active military vehicle. It was in such fine shape except that I then noticed the driver and passenger were a bit older and on second glance I said that truck is a bit older. 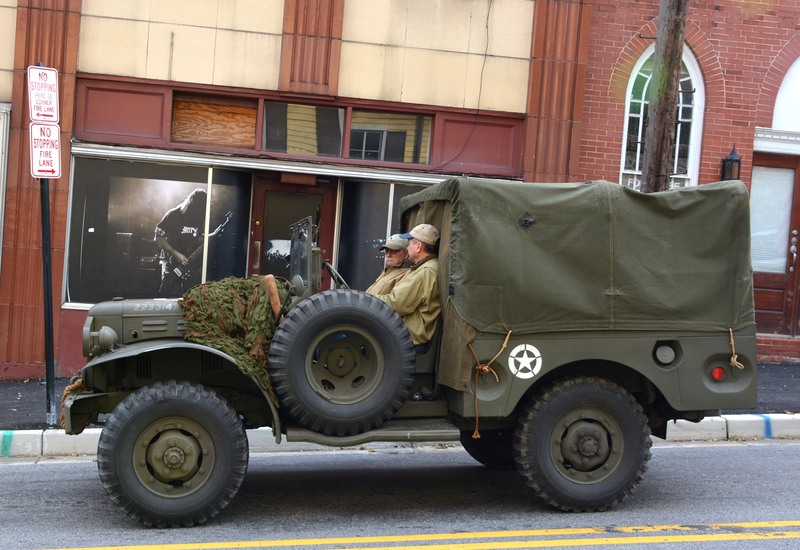 Dodge WC-51 Series Cargo Truck 3/4 ton 4×4 US Army WW II Vintage trolling through Ellicott City. It’s a good thing all things aligned at this time. I’m a bit older now and had stopped half way up the hill for a second wind and they were waiting for the light on Main Street. At first I had zoomed in on the poster of the guitarist and driver in the truck looking at it but there was something about that whole truck so I widened the shot. 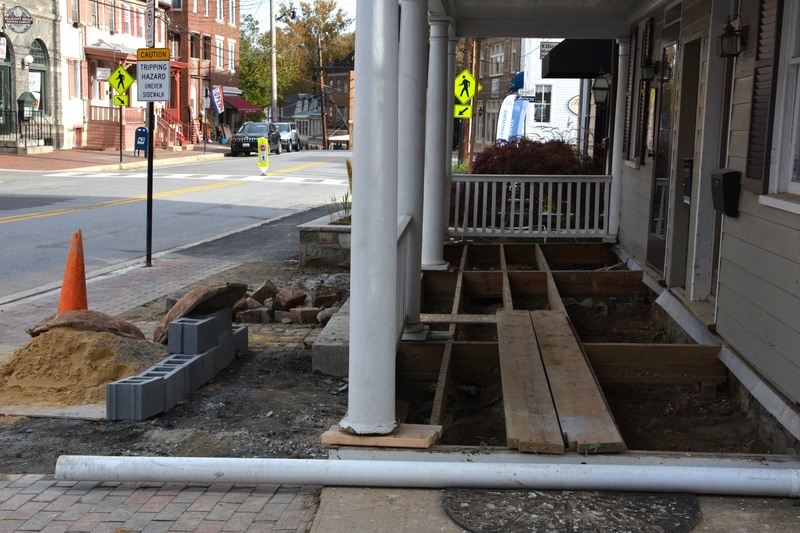 Lots of work going on in the old town. Good to see, I’m energized by what seems to have been accomplished in a short time. But tough times are ahead. Lots more work to go. I hope I’m around to enjoy the next version of this city. It will always be a home in many ways. I was going to go into a rant about Governor Hogan using his cancer in campaign ads. I was bothered by this personally. One I don’t believe it was needed. Two I think he should be able to run on his record. It might not have been his idea but he approved it. To me it was a cheap playing the health card. Another hour of sleep or another hour of fun? Such is the dilemma once a year. When I was younger that was a daily decision. I’m not having much success at training myself in proper posture. I had better clean up this office, would be a shame to leave this mess for someone else. It was a good day to get some chores done but couldn’t stop thinking about my better half not feeling that well.